The Memorial Day holiday on Monday of this week (here in the U.S.) pushed all shows on Rainmaker.FM back one day. Hence, why this week’s new episode came out a day late. Upon reflection, I’m not a fan of this strategy we implemented. I understand why we made the decision, but in our effort to not disrupt our production team and hosts, we disrupted our audience across the network. And that’s not delivering a remarkable audience experience. Our Rainmaker.FM team has already had internal discussions about this, and we’ve come up with a new plan for future holidays. It will ease disruptions for the audience and simply require a bit of planning ahead for hosts. In this latest Showrunner Short, I take you behind the scenes and explain how we’ve already resolved to handle holidays differently in the future. Jerod Morris: This is Rainmaker.FM, the digital marketing podcast network. It’s built on the Rainmaker Platform, which empowers you to build your own digital marketing and sales platform. Start your free 14 day trial at Rainmaker.FM/Platform. Welcome to The Showrunner, where we have one goal — teach you how to develop, launch, and run a remarkable show. Ready? Hi there. I come to you this Friday morning with this latest Showrunner Short episode a little bit frustrated, a little bit disappointed. Here’s why. We made a collective decision as a Rainmaker.FM team to push all of the shows back for Memorial Day week. The reasons why we did this are pretty obvious. We wanted our production team to actually get a holiday. We wanted to respect that. We didn’t want any individual shows to get the shaft by being published on Monday, a holiday, and not getting the attention that they deserved or being delayed a week, that kind of thing. We decided to push everything back a day. All of the shows that normally go on Monday went on Tuesday, and all the shows that normally went on Tuesday went on Wednesday, and so on. What this meant was The Showrunner episode for Wednesday — we always come out with a new show on Wednesday — got pushed back to Thursday. Again, I understand why we made the decision that we did. There was obviously thought that went in it. There were legitimate reasons to do that. But upon reflection, I disagree with it. It frustrates me in hindsight that I didn’t think about this, that we didn’t think about this ahead of time. In our desire to not inconvenience the production staff, not inconvenience the hosts, we inconvenienced our audience. Hopefully those people came back the next day and saw that there was a new episode. It’s not like we just went dark for the week or forgot or didn’t have an episode. We were ready. The episode came out on Thursday. We talk about creating a sustainable show and how that’s part of creating a remarkable experience for an audience. That means showing up, showing up reliably, and showing up reliably over time. I think what we did with the decision last week — this week, this Memorial Day week — we made one decision that basically shifted everything for the entire week. That was the big issue, that basically for every show for the whole week, we disrupted the audience. We didn’t want to disrupt ourselves as much, our hosts as much, but we disrupted the audience. That’s not delivering a remarkable audience experience. We’ve already talked about it. We’ve already put a plan in place for holidays in the future so that we don’t run into this again. As you know, if you’ve been listening to The Showrunner. Shoot, if you’re even listening to the New Rainmaker podcast or read Copyblogger, you know we like to give you kind of a behind the scenes, let you know how decisions are made, and what we’re thinking because we want you to learn from that. Even decisions like this one, that in hindsight we disagree with and wouldn’t do again, we want to explain to you why the decision was made and then what we’re going to do about it. In the future, our plan for the holidays is, instead of disrupting the whole week, just disrupt that day. It will require a little bit of planning ahead for the production team and for the hosts, but it will make life easier on the audience. That’s what it should be. The audience should come first. What we’re going to do is send out an email. We’re going to let all hosts know to look into the future. Obviously, we all know what days we’re scheduled on, so we can look ahead and see, “Hey, is my show scheduled on July 4th? Is my show scheduled for Labor Day? Am I scheduled for Christmas Day?” If so, you have a few different options. You can record an episode, a short episode to go up on that day — or a full episode if you want to — it’s up to you. It’s important to know that, on a holiday, you’re probably going to get fewer downloads and less attention, so you may not want to put your best piece on that day. Maybe you rebroadcast a classic. Maybe you do a short ‘happy holidays’ message. Whatever it is, that host gets that show and makes sure it’s in early so that it can be scheduled and ready to go and published on that holiday — again, instead of moving all of the shows a day forward, which then disrupts the entire week. The other option would be to not have a show. That’s perfectly fine to not have a show on a holiday. I think people understand, but it’s all about expectations. Just say the week before, “Hey, next week is July 4th and we’re not going to have an episode, but we’ll be back the week after.” Whatever it is, just set the right expectations. That’s how we’re going to handle holidays in the future. Make sure that hosts plan ahead and either set the proper expectations with their audience or have another episode in the can, ready to go, production ready, published ready beforehand so that it doesn’t impact the audience who ends up going there on that holiday. Remember, holidays are different in one country to the next. So a holiday here in the United States may not be a holiday for our listeners over in Europe. It’s important to keep that in mind. Again, it’s about disrupting the audience as little as possible and disrupting the hosts’ lives, the productions’ lives, as little as possible, too. If someone has to be disrupted, you don’t want it to be the audience. That’s our plan, moving forward. I think it will be much better. I think it will avoid what we had happen this week. I should say, I haven’t had one person email me, Tweet me, contact me and say “Hey, there was no show on Wednesday. What’s the deal? That was really disappointing.” I haven’t seen that for any other Rainmaker.FM shows. But just empathizing with the audience, I know that I’ve gone looking for shows on certain days, they’re not there, I know how I feel. I’m guessing even though those notes haven’t come in, people are feeling that. Again, empathy is a very important part of developing that authentic connection with the audience, which is what we want. This is how we think about things. This is how we’re doing these things. That way you don’t get caught the day before the holiday not knowing what to do. You’ve thought about it weeks in advance. You’ve either gotten a rebroadcast episode, you’ve put up a special episode, or you’ve let your audience know, “Hey, we’re taking this week off,” just so they know. For you, it’s about planning ahead. Thank you very much for listening to this episode of The Showrunner Short. 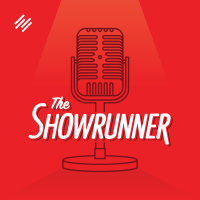 We will be back next Wednesday as usual with another brand new episode of The Showrunner podcast. Thank you. Have a great weekend!